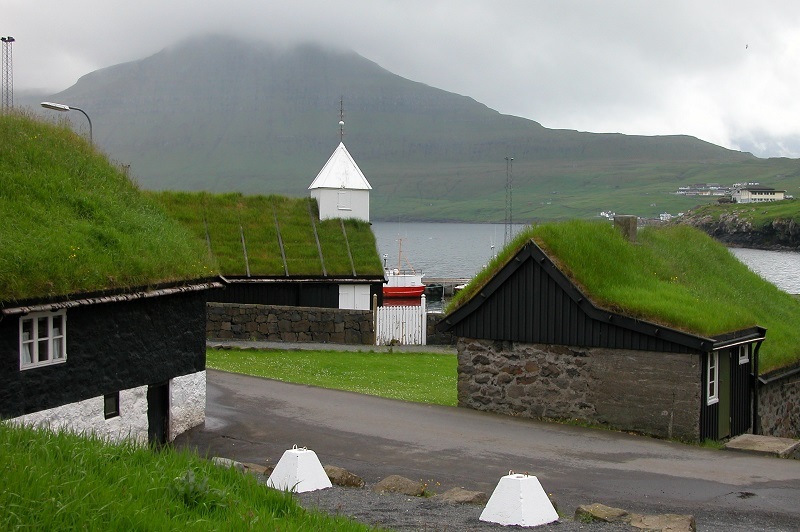 Using a green roof gives us a natural thermal insulation that allows to reduce the energy demand of the houses. Apart from this clear advantage, it also allows us to reduce the carbon footprint, minimize the acoustic insulation used and regulate the impact of the rain, among many other advantages. It is for this reason that in new constructions or rehabilitation, it is fashionable to use these natural elements. All these and other advantages of installations where you will learn to use all the elements necessary to reduce energy demand in different types of building, as well as obtain an excellent energy certification starting from 2 Key points such as sustainability and energy efficiency. In view of the lower permeability of the soil surfaces, the green covers come into play, providing additional green spaces in densely populated urban areas as an element to increase and improve the quality of the water collected. In natural environments, the soil and plants absorb most of the water from precipitation. However when buildings and streets cover almost the entire surface rainwater ends collective drainage systems and unfortunately, more and more frequently, the collapses. The increase in torrential rainfall and localized flooding and the fall of the water table are clear indicators that the ecology of the water cycle has been seriously undermined as a result of climate change and the lower permeability of soil surfaces. This is where green decks come into play, providing additional green spaces in densely populated urban areas as an element to increase and improve the quality of collected water. Each green cover retains and stores a certain amount of rainwater and later allows its delayed evacuation or its evaporation, protecting from the overuse the sewer systems, at the same time that improves its effectiveness. That’s what makes the new system Zinc rain load regulator; manages rainwater captured on green roofs, mimicking the natural soil effect and efficiently balancing precipitation peaks. The main benefit of this is that it is possible to evacuate rainwater retained to a cistern or other recovery systems for storage and subsequent intelligent reuse. Increasingly, many cities integrate green covers into their municipal management plans as an essential element for their multiple benefits, but also for more efficient management of rainwater. Each individually, therefore, contributes to the relief of the public sewer network. For example, a standard extensive green cover can hold between 20 and 40 l / m² of water and an intensive green cover can store between 50 and 100 l / m², or even more. In the face of flood risk, you should store as much water as possible, up to a limit. Otherwise, the excess of liquid available to the plants can lead to a transformation of vegetation and, therefore, to greater maintenance and care; Can even drown and rot the root of the vegetation. For this reason, Zinc has developed the new Storm Load Regulator Cover in two distinct parts: the retention volume and the green cover system. 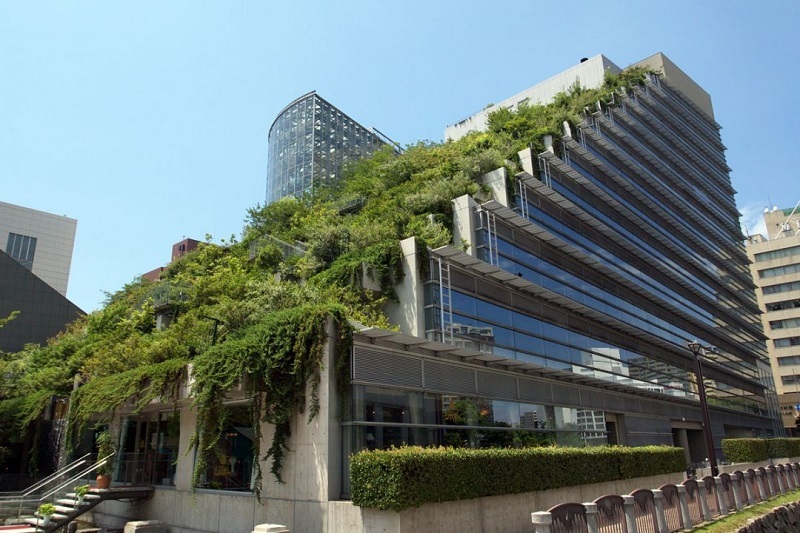 In it, a spacer element called ‘storm load regulator’ is used under the green roofing system. Their height may vary, as needed. For example, a regulator of 10 cm in height allows the storage of about 80 l / m² of rain, in a flat cover of 0 ° with the required capacity of load. During a predefined period of time (between 24 h and a few days), the retained rainwater is gradually evacuated through a regulating valve inserted in the sump to the water drainage system of the cover. In order to ensure that these parts continue to work perfectly, the sump and throttle are for protection inside the register box, where their grooved sides prevent foreign particles from entering. The green roof system above the rainwater controller includes all the elements required for proper operation. For example, water / air balance in the root zone, drainage and storage of water for plants, etc. An intensive green cover, naturally, requires a higher water level than an extensive cover that has drought resistant vegetation. Each system, therefore, adapts to the vegetation chosen. Practically all types of vegetation cover are possible and can even be used for the creation of roads and access roads. The development of rainwater loading cover in two differentiated parts allows a large amount of water to be stored, regardless of the water level required for the smooth operation of the green cover and without any risk of plant transformation or root rot.